Made from high quality fir wood|Anti-slip sand grain asphalt felt on surface|Processed with outdoor environment protection water paint|Easy and quick to assemble|Overall Dimension: 180L x 30W x 30H (cm); Weight Capacity: 50kg. Professional see-saws are very expensive but his is very good value for money for use in a domestic environment. 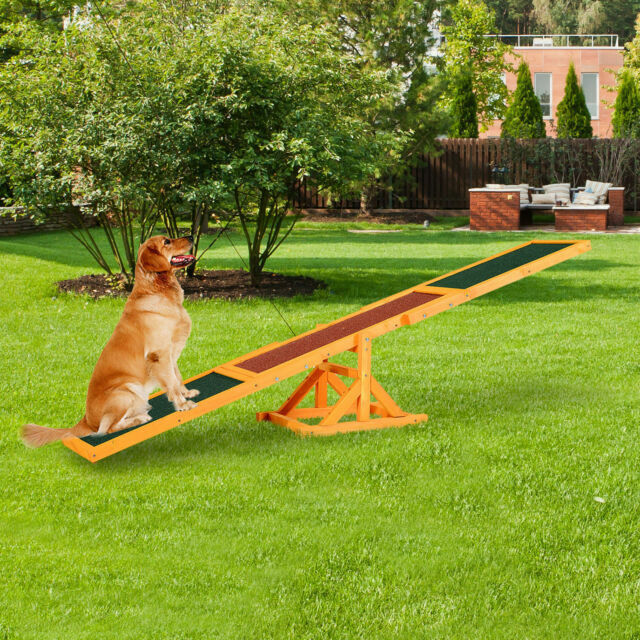 We use ours to allow our dogs to practice their tricks at home. It is very easy to assemble and appears to be good quality. Larger dogs may put some strain on the joints but these can easily be reinforced with a couple of brackets. It's good for the price.